We are a family run shop in Northern Kentucky. We offer a variety of firearms, accessories, machine guns, silencers and AOW’s. Just a few are listed below. You can also shop online on our website and pick it up in our store or have it shipped to your house. We try to keep our prices low and pass the savings on to the customer. WE WILL BE MOVING TO A NEW LOCATION. JUST DOWN THE STREET BY OUR OLD LOCATION ACROSS FROM SPEEDWAY AND EMPRESS CHILE DOWN ON THE LEFT SIDE. WE WILL BE OPEN IN MARCH! Just got a shipment of Slide Fire Stocks. First come first served. $300 Get them before they are gone. I put together this great package. If you are looking at getting into the NFA game and want to pick up a silencer but are not sure if you really want to spend all that money. Well here you go. You get a rifle, silencer and tax stamp for $600. Here is what you get. 1. Rock Island M14Y 22LR Bolt action with a 10 round magazine. All of that included for the low cost of $600. Yes you read that right. Everything for $600 including the tax stamp. Well I got a call from ATF today. My IO wants to meet tomorrow at the new place to go over the paperwork. That’s good. The bad news is he says it will take maybe 3 weeks to get it finalized. So looks like the middle of February now. Great news! We are opening up a second location in Alexandria KY. This will be our primary location. We are working on getting it ready and hope to be open Feb 1st. Don’t forget to follow us on Facebook for updates. You Can also follow Aaron on Facebook also. Great news for all of our Ohio customers. We have partnered with Queen City Arms to do free transfers. 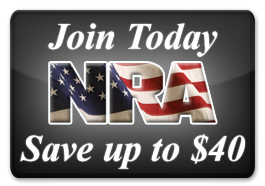 If you would like to buy a handgun from us but live in Ohio we can help you out. Please contact us for all the information. We have started carrying the Ratchet Gun Belt. The Ratcheting System of our gun belt is designed to not only give you adjustability by ¼” increments instead of 1” increments for comfort and fit. It also gives you the reliability and durability to last you a very long time without any worries of sagging, stretching or splitting, yet can still take the abuse and the weight of a firearm and accessories. Ratchet Gun Belts are made only of the highest quality handcrafted leathers. There is a stability strip sandwiched in-between two-layers of the high quality leather for stability and sturdiness. With this process the individual does not have to worry about stretching or sagging, yet with our stability insert sandwiched in-between the leather it still remains flexible and confortable even under the weight of a heavy firearm and accessories. With the other gun belts on the market today an individual does not have a lot of choices with there selection. There are ridged gun belts out there that will hold your firearm and all of your gear but they are not comfortable. Then you have the other side, which there are more comfortable gun belts out there but they don’t last as long and collapse, sag and stretch under the stresses of carrying a firearm and accessories. Ratchet Gun Belt has taken the best of the best and put it together to come up with the ultimate gun belt in comfort, stability and durability with no sag or stretching. Our Gun Belts are designed and handcrafted to give you the best that is available in materials and craftsmanship. These gun belts are made to last a lifetime. The Ratchet Gun Belt is also fashionable and stylish enough that there is no need for different belts for casual and/or dress. The Ratchet Gun Belt can fit assorted styles of dress so you can look your best whether you are carrying your firearm or not. Come visit us at the Richwood Flea Market. We are located inside on the main isle. We carry firearms, ammo, holsters, cleaning supplies and much more. We have over 30 distributors and can get just about everything. Stop on in and give us a chance.